Not too common in my part of the world. 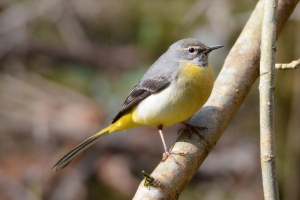 This was the product of a whole mornings effort to get an image of a Grey Wagtail. The combination of relatively low light in a deep canal tunnel cutting and a constantly wagging wagtail made this task somewhat difficult.